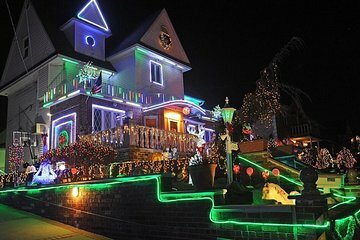 When it comes to Christmas lights, New Yorkers know Brooklyn’s Dyker Heights neighborhood can’t be beaten. Spare yourself the long hike from the D Train, leave parking to the professionals, and feel the Christmas spirit on this guided walking tour of the area’s finest displays. Along the way, ride the Staten Island Ferry past the Statue of Liberty, enjoy views of Brooklyn Bridge, and feel the energy of Times Square.